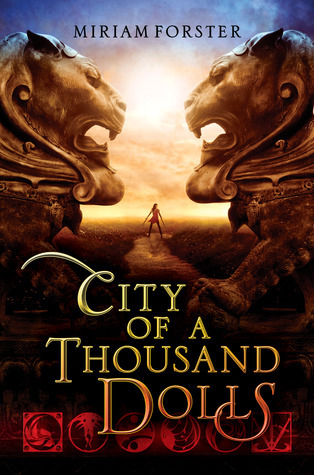 this week I’m waiting on City of a Thousand Dolls by Miriam Forster (Expected publication: 5 February 2013 by Harper Teen in the US and 26 February 2013 by HarperCollins in the UK). This upcoming release by US debut author Miriam Forster is part of a trend that sees the publication of YA High Fantasy novels inspired by non-Western cultures. After Stormdancer by Jay Kristoff, the Fire and Thorns series by Rae Carson or Eon by Alison Goodman (and to some extent The Gathering Dark by Leigh Bardugo), here comes another book set outside the usual Medieval Europe setting. And I’m looking forward to reading it! “An exotic treat set in an entirely original, fantastical world brimming with deadly mystery, forbidden romance, and heart-stopping adventure. Which book are you waiting for this week? Feel free to leave me a comment below! This entry was posted in Waiting On Wednesday and tagged 2013 debut, 2013 release, City of a Thousand Dolls, EM Castellan, epic fantasy, fantasy, High Fantasy, Miriam Forster, YA Books, Young Adult literature.